KPS Sons Carpentry LLC is skilled in all areas of exterior home improvements and offers complete exterior services for our customers home. 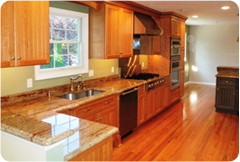 Our company can perform a entire renovation to your home’s exterior, creating a look and feel of a new home. We have extensive knowledge and training in all areas of exterior improvements and are part of many manufacturers programs for product understanding and installation. 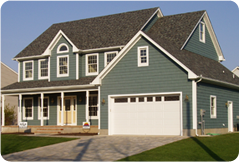 We are experts in roofing, siding and window & door installations. We provide the proper installations of all products we use, with special attention to weatherization barrier systems prior to roofing and siding, helping to achieve the highest level of energy efficiency for our customers home. 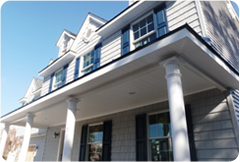 We are recognized by CertainTeed as Master Craftsman for installation of their vinyl and cement board siding, vinyl and composite decking and railing systems and Restoration Millwork PVC exterior trim. We have been building custom decks and porches for our customers for many years now. We offer truly customized decks and porches of hardwoods, such as, Ipe, Mahogany and Cedar, meticulously built for a truly beautiful outdoor living area. For our customers who prefer low-maintenance decks and porches, we can offer PVC and composite decking, such as Trex®, TimberTech®, and AZEK® decking with the same high quality craftsmanship and precision as our hardwood projects. We are part of both the AZEK® Deck Contractor Referral Program and the TimberTech® Bronze Contractor program for our years of experience in the installation and knowledge of all AZEK® Decking and Trim products, as well as TimberTech® products. We install all types of railings and columns for your home. Vinyl columns and railings provide a beautiful look for any deck or porch, while providing a virtually maintenance free finish. All of the vinyl products we use in our projects are made of high quality vinyl with aluminum support frames and come with a lifetime warranty. We can also create custom columns and railings made from a variety of materials, including all types of wood, composites and PVC.